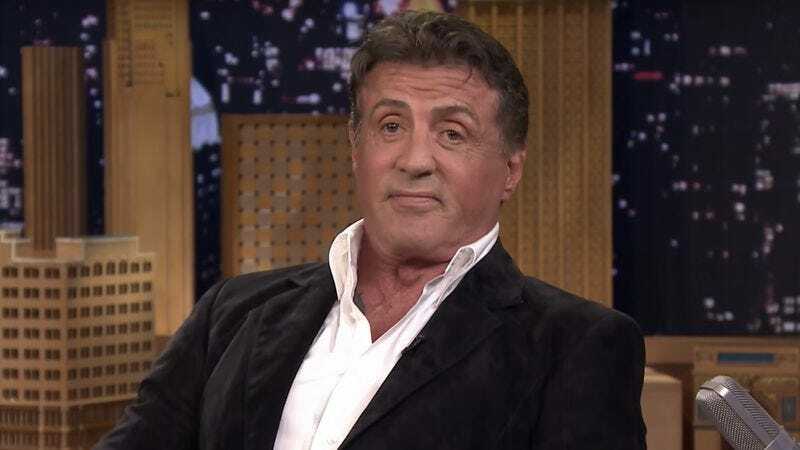 With his career in mid-upswing after his financially successful Expendables franchise and a Golden Globe win for Creed, Sylvester Stallone is apparently finally prepared to accept the responsibility of a lead role on a television drama. The 69-year-old actor is attached to star as aging crime boss Raymonde Aprile in the Weinstein Company‘s planned TV adaptation of Mario Puzo’s 2000 novel Omertà, according to The Hollywood Reporter. The source material, published a year after its author’s death, is the final installment in Puzo’s Mafia trilogy, which also also includes the 1969 classic The Godfather and The Last Don, which apparently came out back in 1996. It tells the story of the last powerful mafia kingpin in America and the adopted Sicilian “nephew” whom he chooses as his successor. Antoine Fuqua (The Magnificent Seven) will direct the pilot from a script by newcomers Justin Herber and Adam Hoff, though a showrunner is not yet in place. The package is currently being shopped around to networks. Stallone has until now been one of the few Italian-American actors in Hollywood who managed, for the most part, to avoid working in Mafia-themed projects since achieving star status. Aside from the 1991 screwball comedy Oscar and the 2002 dark comedy Avenging Angelo, the New York-born actor has mostly built his career on action leads and cop roles. Though he’s received two Academy Award nominations for portraying boxer Rocky Balboa (Rocky in 1977, Creed in 2015), a project like this marks his deepest, most sustained dive into drama.